Sheryl Lyles serves as Senior Managing Director of Lantern Capital Advisors, leading client engagements focusing on helping growing companies and entrepreneurs raise capital from financing sources including venture capital, mezzanine funds, and senior lenders in order to use finance to grow their business, achieve acquisition financing, or execute management buyouts. Sheryl has been the Chief Financial Officer of Acquisitions at All-American Holdings since its inception in 2006, where she is responsible for handling the financial due diligence on potential acquisition candidates, as well as the financial analysis and projection of several AAH-owned entities. Sheryl’s professional experience in the financial services industry has spanned nearly 35 years. Prior professional experience includes serving as Senior Managing Director of Tunstall Consulting, Inc. where she spent 16 years specializing in securing institutional capital for high growth clientele. She was instrumental in evaluating her client’s strategic initiatives for emerging operating plans, including analysis of product line expansions, divestitures, and entity acquisitions or mergers. Sheryl was the liaison between these client companies and the institutional capital markets, soliciting and securing debt and/or equity infusions required to fund each client’s growth plans. Sheryl began her career at Arthur Andersen & Co., working in both audit and tax disciplines. Sheryl achieved her title as a Certified Public Accountant, and is a graduate of Loyola Marymount University with a Bachelor’s degree in Accounting. Jennifer Mooney serves as the Managing Partner and Chief Operations Officer for Lantern Capital Advisors and has been with the firm since 2006. Jen’s passion is raising capital for women business owners. Ms. Mooney also serves as a consultant and creative strategist for our client engagements and is responsible for matching our clients financing needs to institution requirements and capabilities. Prior to Lantern Capital Advisors, Ms. Mooney was the Chief Operations Officer for Triangulum Financial Partners and The Insurance Advisor in Tampa, Florida. Ms. Mooney also served as Vice President of Client Services and eBusiness for Hydrogen Media, a new media development firm, where she was responsible for overall sales support and engagement delivery, and was a Director for IMRglobal/ECWerks in their eBusiness solutions group, where she led large scale implementation engagements in the areas of global e-commerce and online business strategy for Blockbuster, Frederick’s of Hollywood, and John Hancock. She started her career in management consulting with Deloitte Touche Tohmatsu in Houston, Texas and Arthur Andersen in New Orleans, Louisiana. Ms. Mooney has a B.A. in Economics and Government from Sweet Briar College in Virginia, and spent her junior year abroad at The University of St Andrews in Scotland. Chris Risey has spent his career helping growing companies and entrepreneurs plan for and use corporate finance strategies to raise capital and execute transactions in order to support growth, finance acquisitions, buyouts, or refinance debt. 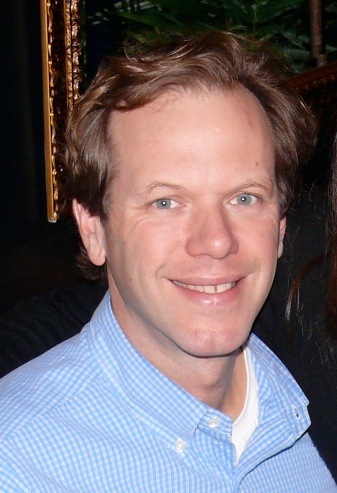 As a recovering CPA, Chris has found passion in using the same financing strategies and sources as investment bankers and equity firms in order to successfully secure business financing for his own clients, but without clients having to pay the high broker fees, or give away control of their businesses (or as he describes, “Robbing Peter to pay Paul”. Mr. Risey has successfully helped Lantern Capital Advisors clients raise capital from a variety of institutions including banks, mezzanine and subordinated debt providers, venture capitalists, and underwriters. No one can do what he has formed Lantern Capital Advisors to achieve: faster, better, or with better results. His clients love him. Prior to Lantern Capital Advisors, Chris Risey was Managing Director for Tunstall Consulting Inc. in Tampa, Florida, and had been with the firm since 1997. Mr. Risey left Tunstall Consulting in 2006 after being with the firm for nine years to create Lantern Capital Advisors and provide his high growth clients with a more reliable and cost-effective corporate finance solution that would guarantee results and ensure client satisfaction. Prior to Tunstall Consulting, Mr. Risey was a CPA in the audit and advisory services group for Arthur Andersen in New Orleans, Louisiana. Chris Risey is Vice President for Decathlon Capital Partners, based in Park City, Utah, which provides revenue-based funding solutions to help growth-stage companies reach their full potential. Weekly What If: What if We Change The Revenue Model? The New Get Rich Scheme: No Money Down! What If Owner Took Liquidity Now?